The flood waters across North and South Carolina have barely begun to recede and already the story of Hurricane Florence is fading from the headlines. But, this monster storm devasted the lives of thousands and the need for aid in the area is great. Those affected by the storm will need help not just in the short-term but in the long-term as they tackle the task of rebuilding. To date, Hurricane Florence claimed 37 lives, left roughly 14,000 people seeking refuge in shelters, and displaced countless more. The historic flooding caused by the fierce storm continues to wreak havoc on communities across North and South Carolina. Early estimates place of the value of property damages caused by the storm at more than $17 million. Many of us ask, how can we help? Cash donations are needed and will provide valuable resources to the people in the affected areas. Before you donate thoroughly research the organization using a tool such as Charity Navigator to be sure that your funds are going to a trusted and verified organization. 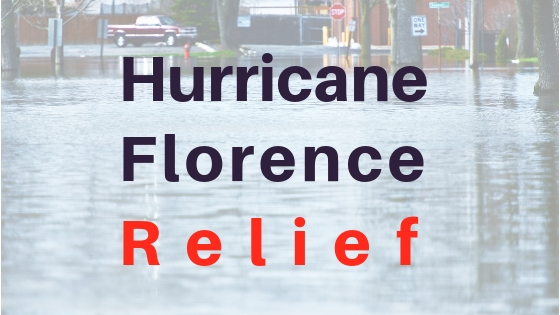 Two reputable organzations to consider for your donation are The American Red Cross and the Foundation for the Carolinas . You can also text FLORENCE to 90999 to make a $10 donation to Red Cross relief efforts. Supplies are also needed to support victims but the logistics of getting goods into a disaster zone can be very difficult. YouGiveGoods has experience getting food and supplies into affected areas to provide relief and help rebuild. Learn more about the benefits of our online disaster relief drives. We’ve set up two drives with our trused nonprofit partners The Salvation Army and MAP International. 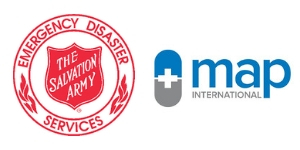 You can purchase food, diapers, and personal care items for donation to the Salvation Army Emergency Disaster Services here or purchase items for Disaster Health Kits for MAP International's relief effort here. Don't forget the pets. Animal shelters in the area are also struggling to care for all the displaced pets. Volunteers are working tirelessly to rescue and care for stranded animals. You can help care for these helpless victims of the storm by donating to animal shelters in the Carolinas. One such shelter is the Charleston Animal Society. You can donate cash on their website or purchase food, treats, blankets, dog beds and more for donation online. And, please remember that long after images of Hurricane Florence have stopped coming across your screens, the people of North and South Carolina will still need your help. You can make an impact on the lives of so many who struggle to get back on their feet by starting your own YouGiveGoods drive and asking your friends and family to make a donation. Information about starting your own drive is on our drive pages for the Salvation Army event and the MAP International event. We are confident that with the support of fellow Americans, all the affected people will be able to see their way through this trying time and move forward with their lives. Until that time, we will continue to work to get them the resources they need.